Kids have a lot of choices today: virtual reality, role playing, reality TV, social media. Here’s a novel idea, though, and one that never goes out of style: How about real reality? Like getting outdoors, in the sunshine and fresh air and the dirt every kid loves to play in? With a Honda TRX90X, the world is your sandbox. 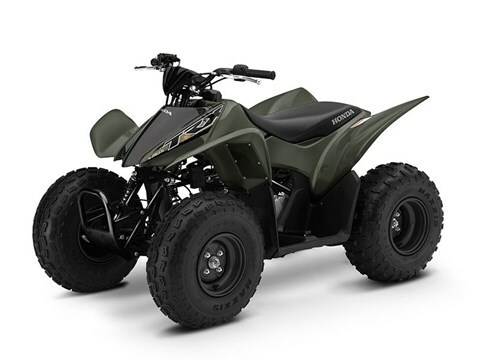 It’s the entry-level ATV that’s designed to be beginner friendly, yet offers enough sporty performance for anyone who wants to have fun. And best of all, it’s pure Honda through and through, so you know you’re starting them off right. 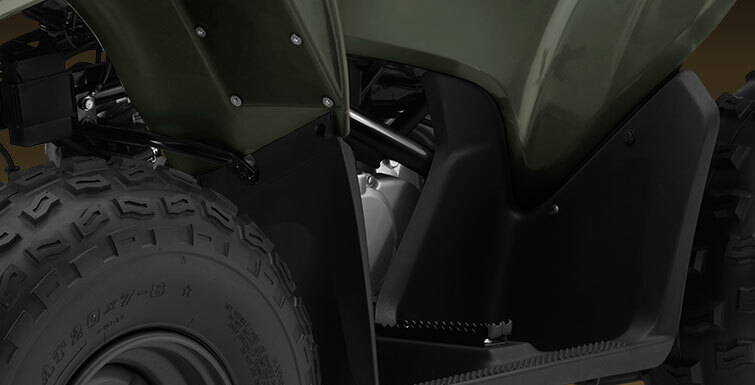 The engine is our proven, rugged SOHC design, with a powerband that’s broad and easier for beginners. The no-clutch transmission eliminates stalling, so your junior Red Rider can concentrate on the fundamentals of control—and just plain fun, too. An effortless electric starter makes getting underway a snap. And for 2017, the TRX90X comes with some fresh, new color and graphic options. So what do you want your kids to remember in another 20 or 30 years: how much time they spent playing on an electronic device, or the lifetime of memories they had with you, riding? 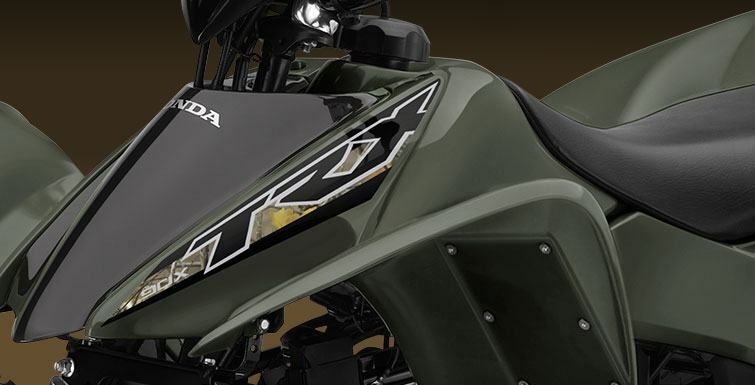 When they’re ready for an ATV, there’s no better choice than a Honda TRX90X. NEW COLOR OPTIONS: New for 2017, we’ve updated the TRX90X with some new colors and graphics. First, there’s a new Olive color option with exclusive Honda Phantom Camo® highlights. Plus, both the Olive and Red models now sport black frames and black wheels too.